SeaWorld Parks & Entertainment announces a multi-park celebration to commemorate a key event in the company’s history. The original SeaWorld® park opened its gates for the first time in March 1964 on Mission Bay in San Diego. SeaWorld’s 50th Celebration will feature a Sea of Surprises starting March 21, 2014. SeaWorld parks in San Diego, Florida and San Antonio will share the excitement throughout an 18-month celebration that highlights some of the most memorable SeaWorld experiences. For nearly five decades, SeaWorld has surprised and amazed guests with unique entertainment, thrilling rides and up-close encounters with marine animals. During SeaWorld’s 50th Celebration visitors will be invited to take part in the celebration through new interactive experiences, shows and pathway performances, even more up-close animal encounters throughout the park and the SeaWorld “Surprise Squad” treating guests with prizes every day. Just a few weeks ago, SeaWorld Orlando opened Antarctica: Empire of the Penguin, an all-new realm that combines 30-degree temperatures, upclose encounters with more than 250 penguins and an all-family adventure ride to create the coldest theme park attraction in Orlando and a thrilling, chilling experience of a lifetime. SeaWorld Orlando will continue to make news later this year when the park announces what’s new for 2014. Details will be shared this fall. • SeaWorld San Diego will celebrate 50 years with a new interactive entrance plaza. The area will be called Explorer’s Reef and will open in March for the celebration kick-off. The 16-month construction project will transform the existing front gate area through sculptural and design elements inspired by waves crashing over a reef, as well as up-close encounters with marine life. The new front gate concept will replace existing ticket booths with a beach-themed, concierge-style ticketing area that will provide guests with a single location to purchase admission, as well as sign up for tours, animal interactions and dining experiences. • From the moment they enter the park, guests can connect with the sea through multiple touch pools featuring shark pups, stingrays and cleaner fish. Explorer’s Reef encompasses more than three acres, including new and innovative retail and culinary opportunities for guests. The multi-million dollar renovation effort will not only make entering the park faster and more efficient, but will significantly enhance the arrival experience. • As part of SeaWorld’s 50th Celebration, there will be more surprise encounters with animal ambassadors throughout the day. A pair of Magellanic penguins, a lemur, or even a parade of flamingos could surprise guests at any moment at all three SeaWorld locations. • What’s a celebration without surprises? The SeaWorld “Surprise Squad” will roam the SeaWorld parks giving away prizes and special gifts. Guests could receive exclusive access to rides or behind-the-scenes experiences, celebration t-shirts or Shamu-themed merchandise, reserved show seating and more. 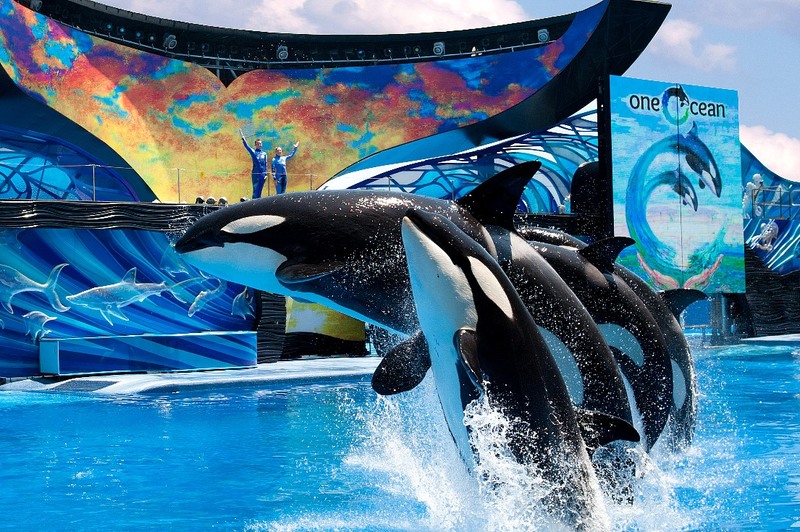 • SeaWorld is known for amazing animal shows and each park will have something new for the 50th celebration. Even park pathways will come to life with spontaneous entertainment at unexpected moments, including performers with sea-inspired costumes and props, a bubble brigade and splash mob. • To underscore SeaWorld’s commitment to the environment and passion for protecting the ocean, a series of giant sea life sculptures will be displayed throughout the parks. SeaWorld commissioned environmental art group Washed Ashore for the large-scale art created from ocean debris. The works serve as a reminder that our animal friends need healthy environments. 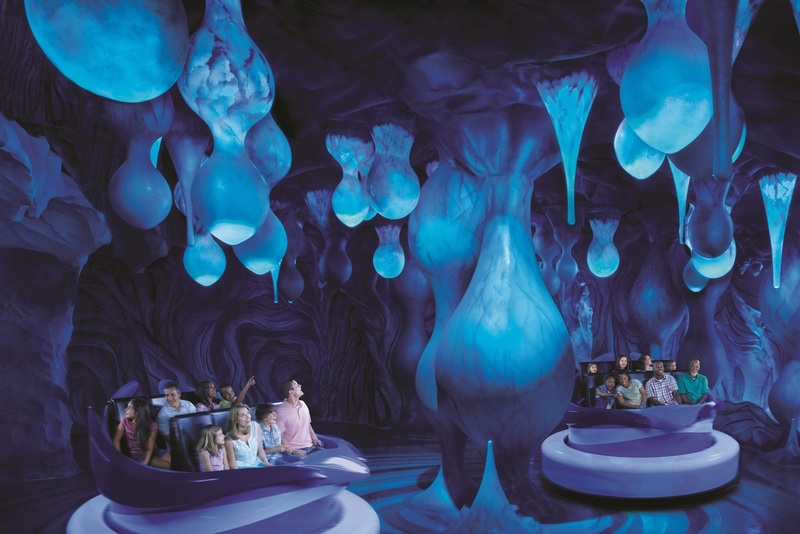 • As part of its continuing commitment to new technology that enhances the guest experience, SeaWorld’s 50th Celebration will include new ways for fans to connect to the parks and each other though digital devices. The parks will be launching a variety of enhancements, from interactive apps that provide fun new ways to experience the park to new games and video content.